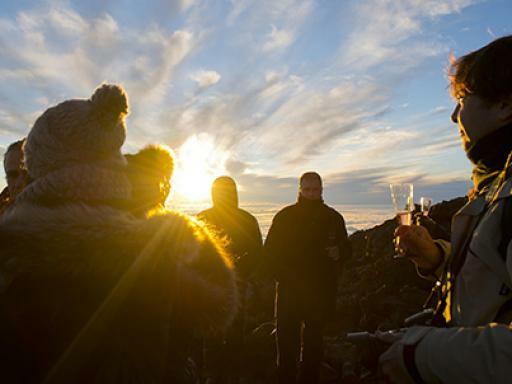 Experience a magical sunset from the top of Spain's highest volcano. 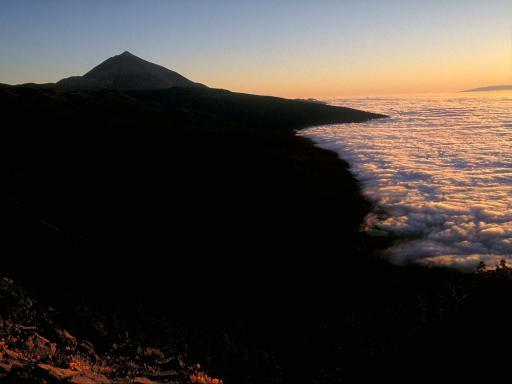 The geological monuments in Teide National Park are so large that their shadows mixed with the colours of the sky and the spectacular sea of clouds produce unique and exhilarating effects. Head to the stunning Teide National Park where you can board a cable car to the top of Teide Volcano which towers over the landscape at 3,718 metres and enjoy a stunning sunset. As the car rises, the splendour of the landscape unfolds beneath your feet offering a unique perspective of Teide National Park. The 8-minute journey to the top takes you over volcanoes, craters and lava flows which form an impressive array of shapes and colours that you won’t find anywhere else in the world. Once at the summit, head to one of the viewing points to enjoy the changing landscape as the sun drops over the western horizon. 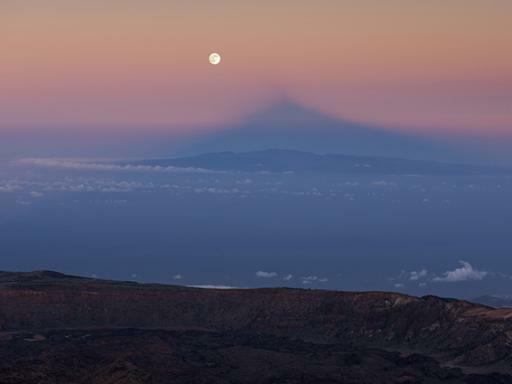 As it sets, Teide's enormous shadow stretches out toward the East, creating a spectacular projection and the rocks take on red and orange tones that are in perfect synchronisation with the volcanic terrain. 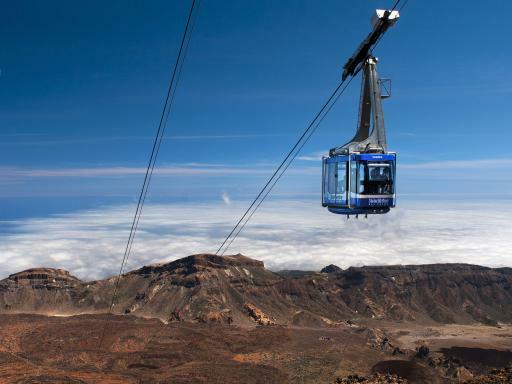 Departure Location: The Teide Cable Car is located in the heart of Teide National Park in the centre of the island. It is easily reached by car and bus. Departs: Tuesday, Friday and Sunday. Start Times: Varies throughout the year depending on when the sunsets. The exact time will be detailed on your voucher. Guest must make their own way to Teide Cable Car Station. Your voucher will specifiy the time your cable car ride commences - you must arrive at least 15 minutes before this. Guests aged between 8 and 13 years are eligible for the child rate. Children under 8 are not allowed to participate in this activity. This ascent is not recommended for people with cardiovascular or pulmonary problems, pregnant women or children under 2 years of age due to risk of the high altitude having an adverse effect on their health. Cable Car at Sunset includes a 40-minute walk both ways of medium-low difficulty, therefore you must be in good physical shape. 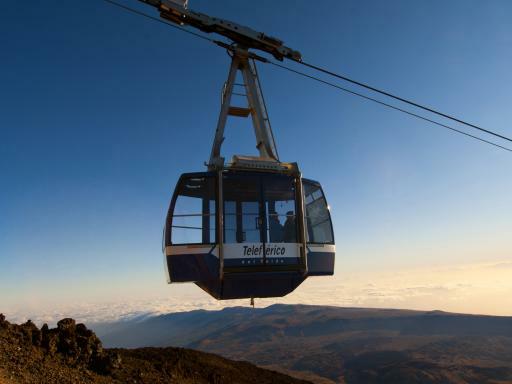 How do I get to Mount Teide Cable Car? 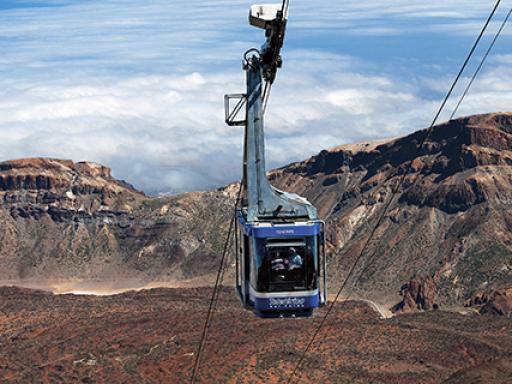 Teide cable car is very easy to get to by road from both the north and the south of the island. If you don't have your own car there is a bus service from the north and the south. From the north of the island (Guagua) Bus line 348 Puerto de La Cruz – Las Cañadas del Teide. Departure time: 9.15am from Puerto de la Cruz, stopping at La Orotava, Montaña Blanca and Teide Cable Car. Return from Teide Cable Car at 4.00pm. From the south of the island Bus Line 342 Playa de Las Américas - Las Cañadas del Teide. Departure time: 9.15am from Las Américas, stopping at Los Cristianos (9.30am) Teide Cable Car and Montaña Blanca. Return from Teide Cable Car at 3.30pm. 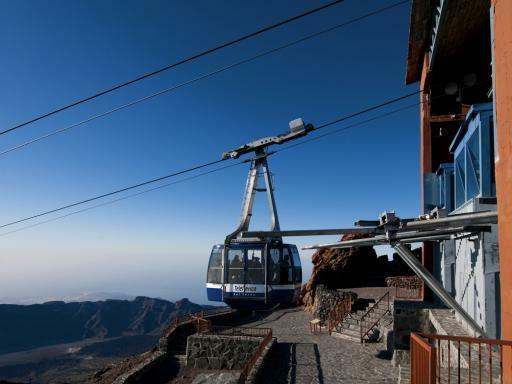 What facilities does the Mount Teide Lower Cable Car Station have? The lower cable car station has free car parking, rest area, cafe, shop and a buffet restaurant. When visiting Mount Teide it's recommended to wear appropriate clothing to protect you from changing temperatures and footwear suitable for rocky terrain. It is also recommended you take a bottle of water with you. 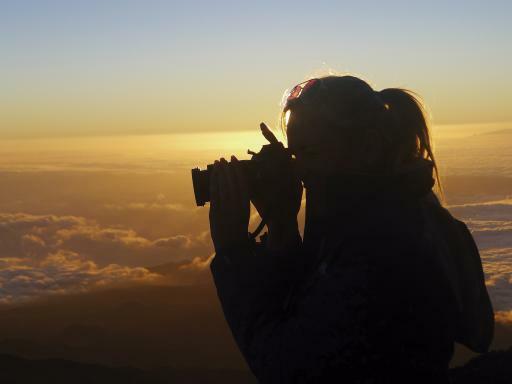 Be prepared for extremely cold conditions, regardless of the time of year, as even in summer, during the sunset on Mount Teide, the temperatures are low at this altitude.